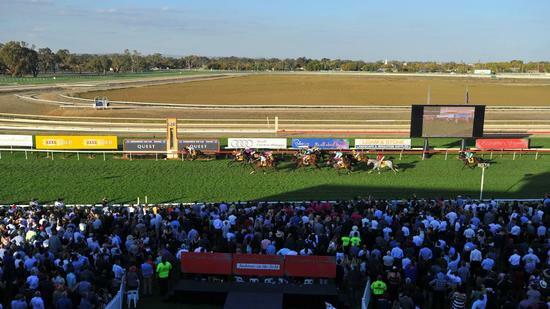 The Wagga Murrumbidgee turf club will race on Monday, June 4, with the Craig Widdison Yard supplying two runners to the seven-event card with a soft five currently posted racing under fine conditions. The first of the stable runners will see Banger a last start runner-up in the Lamont classic two-year-old handicap over 1300 m with Nick Souquit aboard jumping from barrier five with a field of 8 to run. Had two starts to date. At debut, wide throughout and hung out in straight; 9th of 10 starters at Benalla 2yo Mdn Apr 27 over 1106m, 9-1/2 len behind Marcel From Madrid with 58kg. Second-up jumped awkwardly and blocked for run near 600m; 2nd of 8 runners at Wodonga 2yo Hcp May 19 over 1200m, 2-1/2 len behind Cardinet with 58kg. Race six will see Purrpussful under Nick Souquit jumping from barrier nine with a field of 12 to run in a benchmark 70 handicap over 1400m. Last start jumped awkwardly; always near the tail ran last at Sandown-Hillside 4yo+ M (Bm78) May 16 over 1400m, on slow going 6-1/2 len behind Hectopascal with 55kg. Before that checked near post; 3rd of 14 runners at this track F&M (Bm70) May 4 over 1400m, slow track; 1-1/4 len behind Levee Bank carrying 58kg. Good luck to all runners and owners at Wagga on Monday.